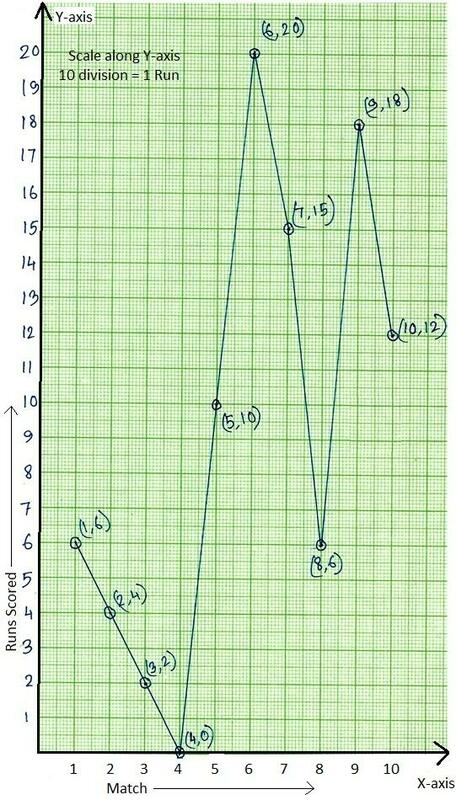 In the worksheet on line graph the points are plotted on the graph related to two variables and then the points are joined by the line segments. Draw the line graph for the above data. 2. 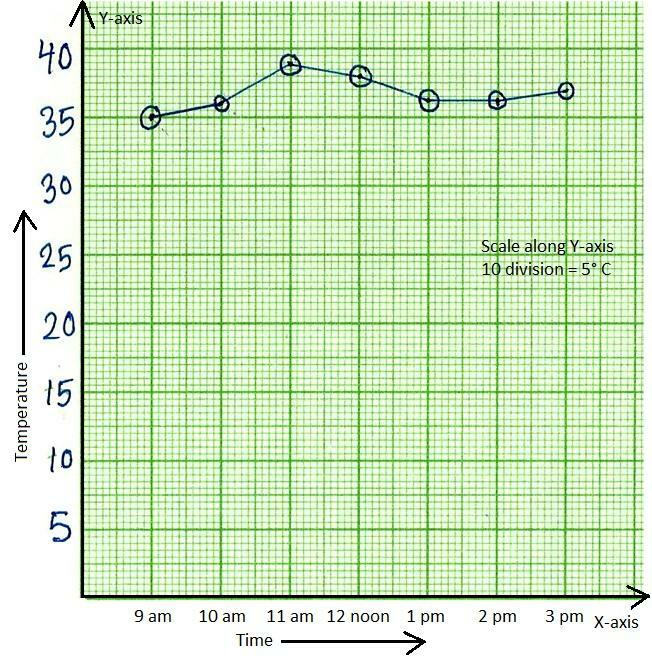 Draw the line graph showing the following information. 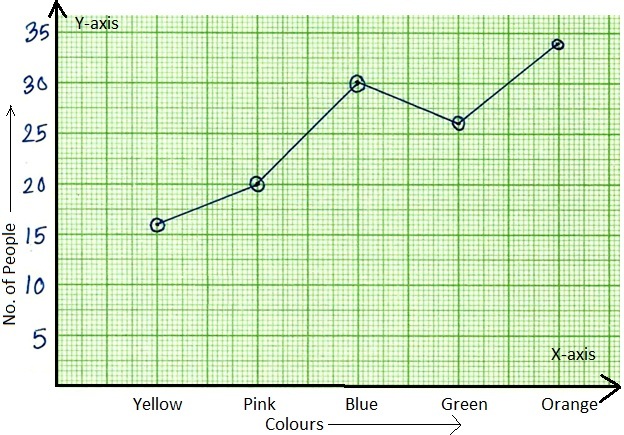 The table shows the colours favoured by a group of people. 3. 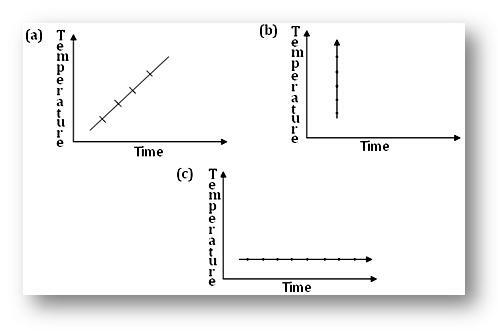 Can there be time-temperature graphs as follows? Give reason. 4. The following tables give the information about a patient’s body temperature recorded in the hospital every hour. Represent this information on a line graph. Answers for the worksheet on line graph are given below to check the exact graph and the answers of the above question.